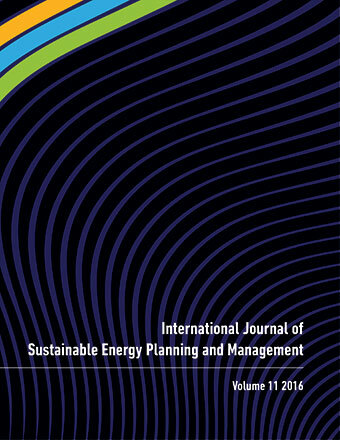 This paper investigates the effect of increased demand-side flexibility (DSF) on integration and market value of variable renewable energy sources (VRE). Using assumed potentials, system-optimal within-day shifts in demand are investigated for the Northern European power markets in 2030, applying a comprehensive partial equilibrium model with high temporal and spatial resolution. Increased DSF is found to cause only a minor (less than 3%) reduction in consumers’ cost of electricity. VRE revenues are found to increase (up to 5% and 2% for wind and solar power, respectively), and total VRE curtailment decreases by up to 7.2 TWh. Increased DSF causes only limited reductions in GHG emissions. The emission reduction is, however, sensitive to underlying assumptions. We conclude that increased DSF is a promising measure for improving VRE integration. However, low consumers’ savings imply that policies stimulating DFS will be needed to fully use the potential benefits of DSF for VRE integration.